Minecraft can be addictively fun. One moment you’re trying to pour water on top of lava to create obsidian so you can build a Nether Portal, engage in ranged battle with a Ghast, and harvest some Netherrack. All of a sudden, you’ve spent an entire day hunched over your monitor, with nothing to show for it but a Redstone-powered universal Turing machine. For some folks, the time-vortex created by playing Minecraft simply isn’t enough. Take Youtube user Flashcode, who has been building custom Minecraft animations in Blender. The result is not unlike high-resolution texture packs taken to the next level, with some added sound and visual effects. 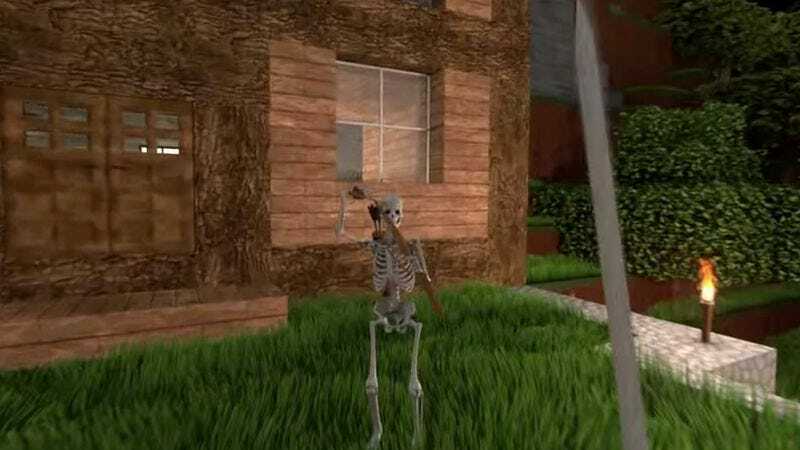 Flashcode’s latest project recreates a player being surprised by a skeleton attack, and then executing a strategic counter-offensive. It’s just like an actual game of Minecraft, but much fancier (sorry, purists). If only our animated skeleton pursuers were dispatched so easily in real life.